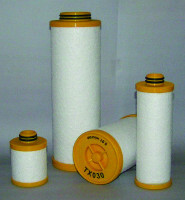 Oil removing filter capable to separate residual oil and extremely small particles down to 0,01 micron. Maximum contents of residual oil 0,01 mg/m³. It produces air technically free from oil. 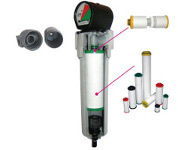 Used for the protection of control system, pneumatics haulage, painting system and as pre-filter for adsorption dryers.